"I remain eternally optimistic regarding everyone else's pessimistic outlook on the current situation." Not sure what you can do to defend our democracy? Mailing postcards to voters leads to higher voter turnout. Every postcard and every stamp can help elect Jamie MacLeod-Skinner in Oregon's 2nd Congressional District and other progressives around the country. • Attend a postcard party with like-minded Indivisibles. Scripts, stamps, postcards, and colorful pens are provided. This week's postcard parties are on Friday, August 31 at 4 - 5:30 in Gearhart and Manzanita. Directions from incoregon@gmail.com. • Sign up here to do Postcards to Voters on your own, at your convenience. They'll tell you everything you need to know. 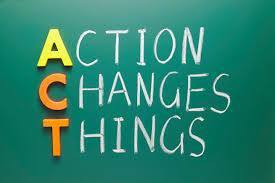 Or contact Bebe at littlebylittle4change@gmail.com for more help. A roll of 100 postcard stamps costs $35.00. Please contribute any amount here or through PayPal so INCO can buy more postcard stamps to reach more voters. You can also donate at INCO events and by mailing your check to INCO, PO Box 536, Warrenton, OR 97146. Countdown: Only 71 days until the midterm election on November 6! INCO supports these candidates and hope you will, too! 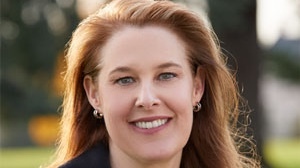 Carolyn Long is running for WA-3 (Washington's 3rd Congressional District), which includes the WA peninsula, to replace Trumpster Jaime Herrera-Buetler. 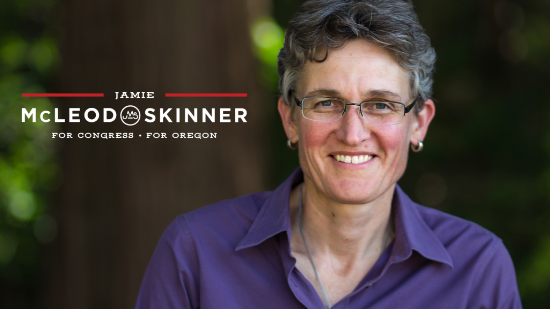 Jamie McLeod-Skinner is running to defeat Trumpster Greg Walden in OR-2, which is one of the largest districts geographically in the US. 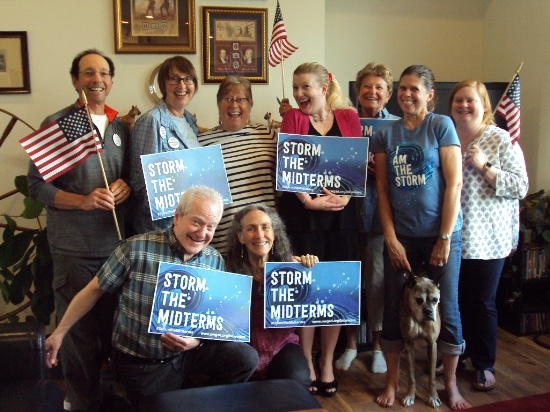 SIGN UP HERE to #StormThe Midterms and Stop The Menace. You'll feel good being an active defender of democracy! 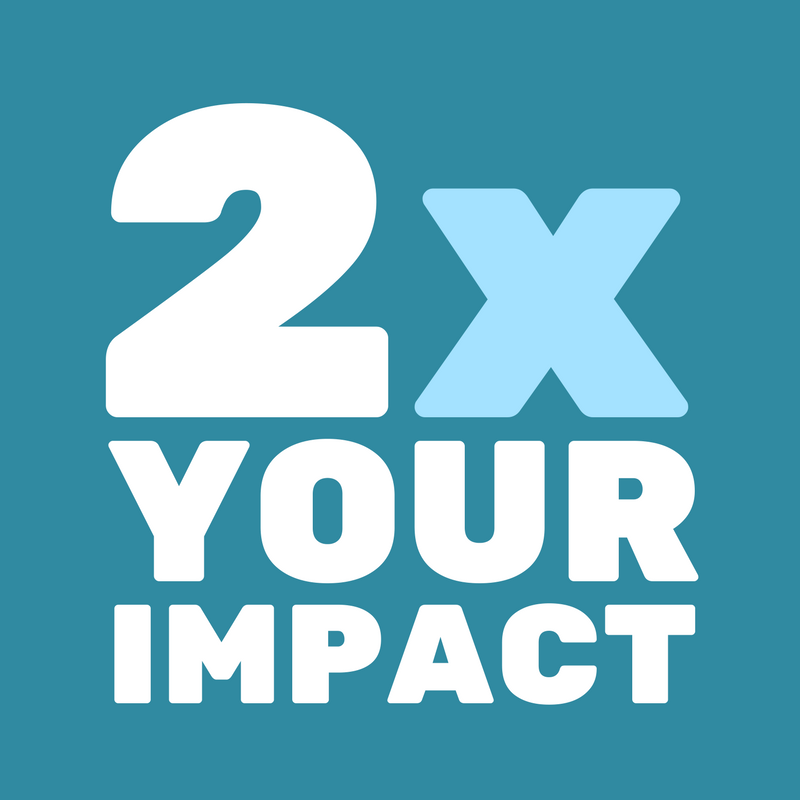 There's lots you can do to help flip two nearby seats and elect Democrat Jamie MacLeod-Skinner in OR-2 (Oregon's 2nd Congressional District) and elect Democrat Carolyn Long in WA-3. Sign up here and choose what suits you best for INCO's endorsed candidates as well as progressive candidates in nearby swing districts. You can make a difference from home or working with others! 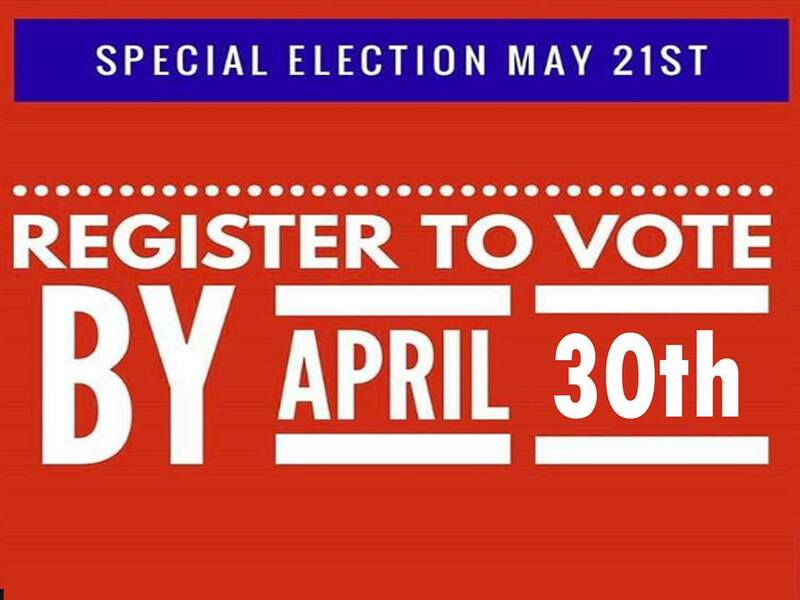 • Help register voters in Pacific County, WA. Sign up here for 2 hours of hosting voters from 10-4 every Saturday through the end of September. It's at Saturday Market at the Port of Ilwaco, in front of the big white building in the center of the port, with a Please Vote banner on top. 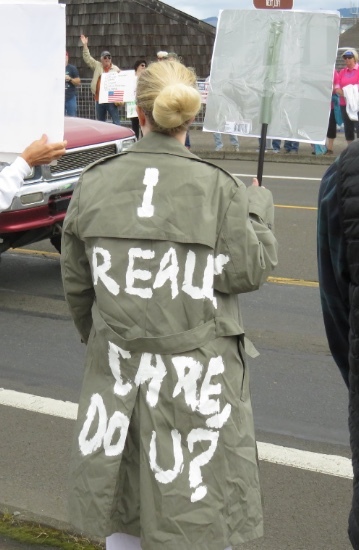 • Door-to-door outreach: We’re sending out teams of canvassers on Saturday mornings and Sunday afternoons in Clatsop County and across the river to elect specific candidates and to defeat some ugly Oregon ballot measures the GOP would love to see passed. • Tweet: Set up a private group that includes @indivisiblencor, @huddleupvan, @electlong (WA-3), and @JamieforOregon (OR-2). Tweet and retweet the messaging. Add your own comments. • Text or Phone: Host a text or phone banking party. Email incoregon@gmail.com, subject line Host a Party. Easier Link: Save your typing energy and find INCO at our new, shorter URL: www.incoregon.org. BIG Numbers: Indivisibles at the Gearhart postcard parties wrote 712 cards in 3 weeks to voters in OR-2, Oregon's 2nd Congressional District! Kudos to Bebe, Kathi, Kathleen, Laurie, and Meridee for taking more postcards to work on at home. Warrenton Miles: Hooray for Warrenton Community Group for cleaning up 2-1/2 miles of Harbor Drive, after their meeting on August 18. They've adopted this major street and welcome new cleaner-uppers. Contact incoregon@gmail.com for details. INCO's Book Club: There's still time for you to get a copy of THE AGE OF AMERICAN UNREASON IN A CULTURE OF LIES by Susan Jacoby, Vintage Books, New Updated Edition, 2018, so you can discuss it with everyone at the next meeting of INCO's Book Club at 6:30 on September 19 in Astoria. Contact cebeady@outlook.com for directions. INCO leaders love Storming the Midterms for progressive victories on November 6! Eric has the flag, then Bebe, Kathleen, Beeb, Carmen, Deb, Monica, with Ken and Mary Beth by Boxer. Not shown: Laurie the photographer, Cheryl, Gwen, Kay, Meridee, Steve, and Tracy. "We had about 12 people come for Friday's canvassing. we gave away about 42 posters for storefronts in downtown Astoria and got 17 pledges. It was very energizing. 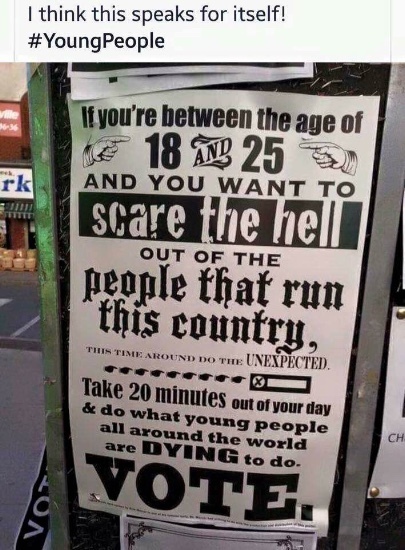 Most people had never canvassed before. Everyone agreed they had fun and want to do it again." We'll keep you posted about ways you can help defeat this hate-based measure. Thanks to Monica for helping train the canvassers. This door-to-door outreach was hosted by La Voz de la Comunidad and INCO, with help from Oregonians United against Profiling. 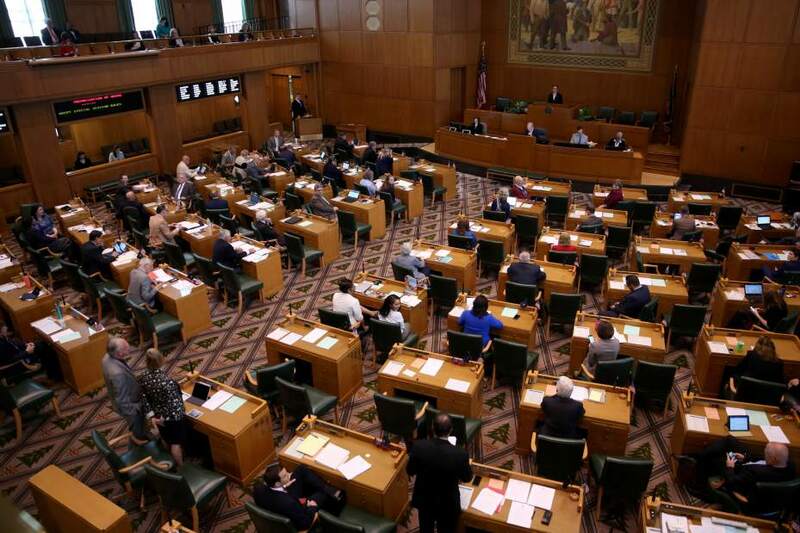 Friday, August 31 - Postcards to Voters Writing Party - Gearhart, 4 - 5:30 pm. Contact Bebe at littlebylittle4change@gmail.com for address. Most Fridays, same time, same place. We appreciate donations ($1-5) to help defray costs for postage. If you'd like, join us afterwards for food and drinks at the Sand Trap. Friday, August 31 - Postcards to Voters Writing Party - Manzanita, 4-5:30. Contact Cheryl at coastalmomma@yahoo.com for directions. Friday, September 7 - Postcards to Voters Writing Party - Gearhart, 4 - 5:30 pm. Contact Bebe at littlebylittle4change@gmail.com for address. Most Fridays, same time, same place. We appreciate donations ($1-5) to help defray costs for postage. If you'd like, join us afterwards for food and drinks at the Sand Trap. Friday, September 7 - Postcards to Voters Writing Party - Manzanita, 4-5:30. Contact Cheryl at coastalmomma@yahoo.com for directions. Saturday, September 8 - Astoria INCO Community Group meeting, 8 a.m., Street Fourteen Cafe, 1410 Commercial; no purchase necessary. On the agenda: Astoria's school bond issue and another group LTE. What do you want to write about? Saturday, September 8 - Warrenton INCO Community Group Meeting, 11 am, Dooger’s Seafood and Grill, Highway 101, Warrenton. No purchase necessary. We'll write postcards after the meeting to support Carmen's friend who's running for office in Iowa. Tuesday, September 11 - Seaside/Gearhart INCO Community Group Meeting, 6:30-8:00pm. Email kathleenannmacdonald@yahoo.com for location. Friday, September 14 - Postcards to Voters Writing Party - Gearhart, 4 - 5:30 pm. Contact Bebe at littlebylittle4change@gmail.com for address. Most Fridays, same time, same place. We appreciate donations ($1-5) to help defray costs for postage. If you'd like, join us afterwards for food and drinks at the Sand Trap. Friday, September 14 - Postcards to Voters Writing Party - Manzanita, 4-5:30. Contact Cheryl at coastalmomma@yahoo.com for directions. Friday, September 14 - Under 40s Group Meeting, Postcard Party + "Wine & Whine" Happy Hour. Happy Hour: 5:00 - 6:00 pm, Group Meeting & Postcard Party: 6:00 - 7:30 pm. Contact beebashcroft@gmail.com for directions to Seaside location. Saturday, September 15 - Town Hall with US Representative Suzanne Bonamici, 1 - 2 pm, Seaside Heights Elementary School, 2000 Spruce Drive, Seaside. We'll have Agree/Disagree signs for you. 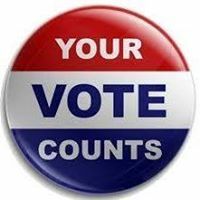 Wednesday, September 19 - INCO Vote the Future Team, 6:30 pm, Seaside Library Board Room. All Indivisibles interested in voting and elections are welcome. Wednesday, September 19 - INCO Book Club, 6:30 pm, in Astoria. We're back after our summer break! The book we’ll discuss is THE AGE OF AMERICAN UNREASON IN A CULTURE OF LIES by Susan Jacoby, Vintage Books, New Updated Edition, 2018. Contact cebeady@outlook.com for directions. Wednesday, September 19 - Seaside AAUW Candidates Forum, 7 - 8:30 pm, Seaside City Hall. Confirmed as coming are candidates for Seaside mayor, Seaside City Council, Gearhart City Council, and Tiffiny Mitchell for Oregon Legislature, HD 32. Tuesday, September 25 - INCO Voter Registration Drive, 10 am - 2pm, Clatsop Community College, Towler Hall, 3rd floor. Register or update registrations with new name, address, or handwriting. Check out the new Americans of Conscience website where you can sign up for the weekly Action Checklist, compiled by Jen Hoffman and a team of volunteer researchers. This week's checklist is here. Jen was a standout speaker at INCO's January summit. The INCO banner - it says "Indivisible North Coast Oregon" - is still missing after falling off our truck at the Astoria Regatta Grand Land Parade on August 11. It is vinyl, 6 feet long, with sleeves at the top and bottom holding poles. If you have any information about its whereabouts, please contact incoregon@gmail.com.